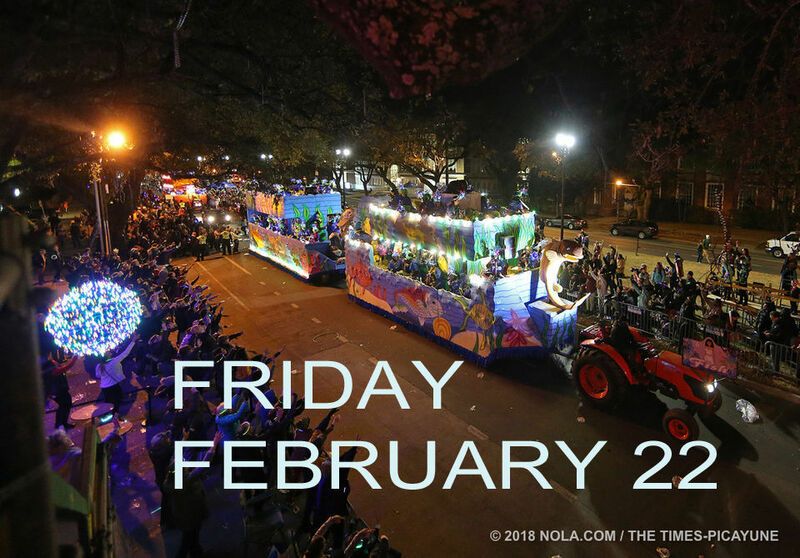 The Krewe of Cleopatra rolls Friday (Feb. 22) at 6:30 p.m. on the traditional Uptown route, and the theme this year is "Cleopatra’s Animated Adventures.'' Look for throws that reflect the theme, like a small Cleopatra action figure and drawings of the superhero on cups and light-up rings. This 27-parade weekend begins with two afternoon celebrations in the French Quarter. You can also catch a strand of lights spelling “Cleopatra” in purple, green and gold letters. Check out this video of two NOLA.com | The Times-Picayune reporters who rode in the Cleopatra float last year.